Music group Bel Canto and Friends are pictured by Lossiemouth footbridge over to East Beach. 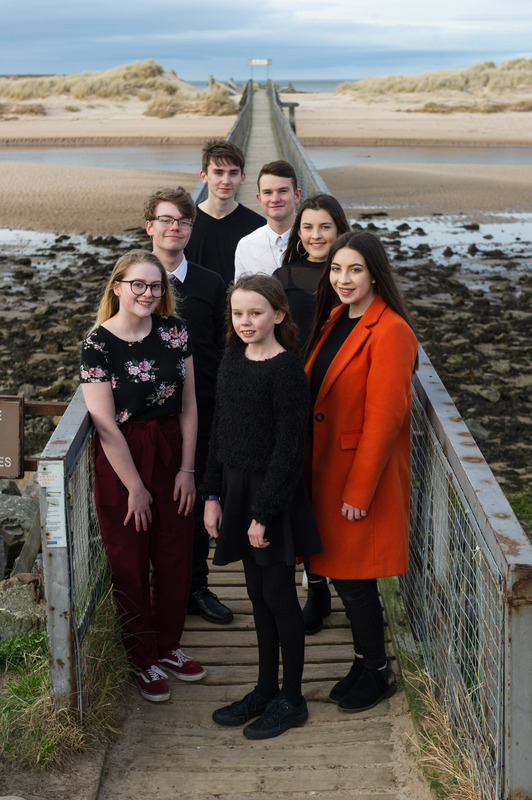 A group of talented young Moray classical music singers will showcase their skills at a fundraising concert to raise money to help save a vital local bridge. 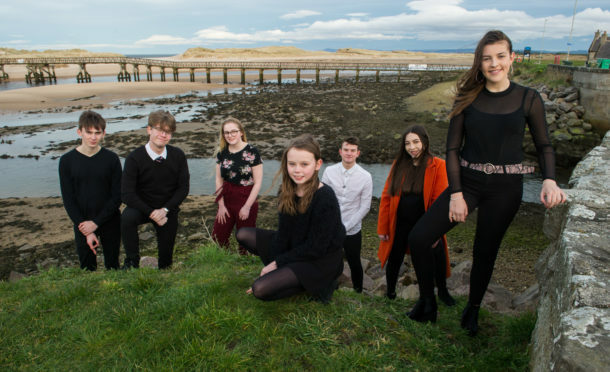 The Bel Canto youth singers are performing a musical concert that covers the Renaissance Age through to the Romantic times and will be raising money for the Lossiemouth East Beach Bridge renovation. One of Scotland’s most iconic bridges, experts have warned that without any proper work being done to the crossing, it may become unusable within five years time. Bel Canto will be joined by a few special guests to perform a series of songs that are inspired by or taken from classical musical theatre, with some Scottish twists. Group treasurer Eleanor Baker insists that the audience is in for a treat, as the north-east’s most talented singers will be taking centre stage. She said: “I expect anyone who attends will be blown away by the singers as their talent is usually not publicised and they will get some good quality songs. Bel Canto is formed of youths aged between 12 and 19 who are all trained by singing teacher Ann Munro, who is based in Lossiemouth. It is that link to the coastal town that led the performers to decide to fundraise for the east beach bridge. The crossing is something that is close to each member’s heart, according to Ms Baker. She said: “The bridge is close to all of our hearts, especially the members of the group who are from Lossiemouth. “Everyone has used that bridge, whether walking their dog or taking trips to the beach and it is something that is important to the heritage of Lossiemouth and the people of Moray. The Lossiemouth Community Development Trust is running the campaign to save the bridge, and believe that it will cost up to £500,000 to stop it collapsing. They are in the process of running a Crowdfunder to raise £10,000 for a structural survey and an options appraisal report before they can then look at major funding pots to fix it.